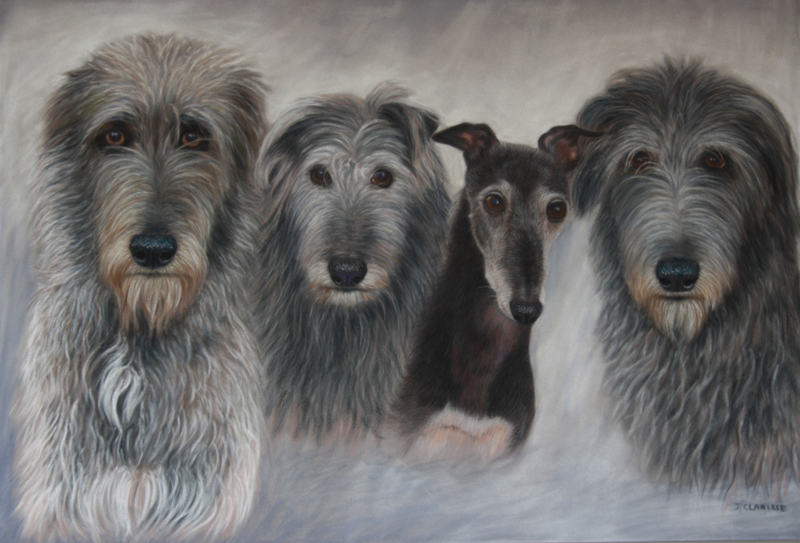 Breed : Irish wolfhounds, the tallest of all sighthounds, in the past they were used to hunt wolves in Ireland. 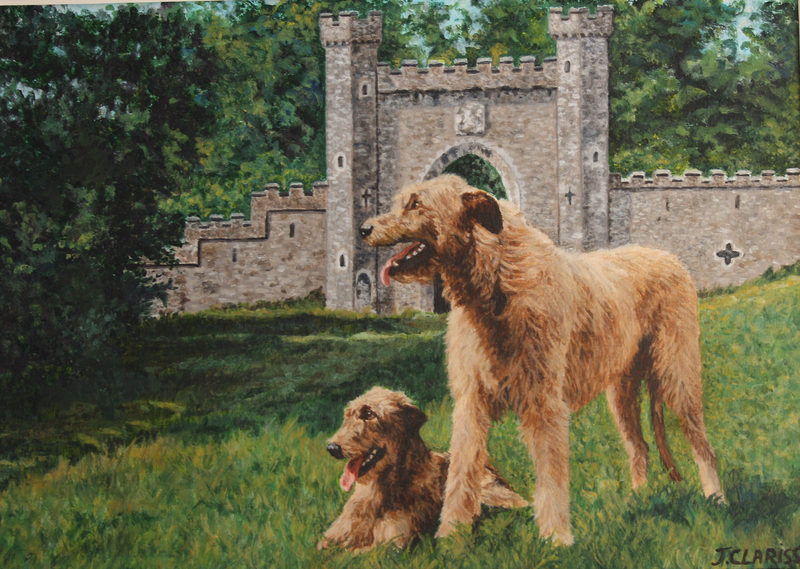 They were the dogs of kings of Ireland. 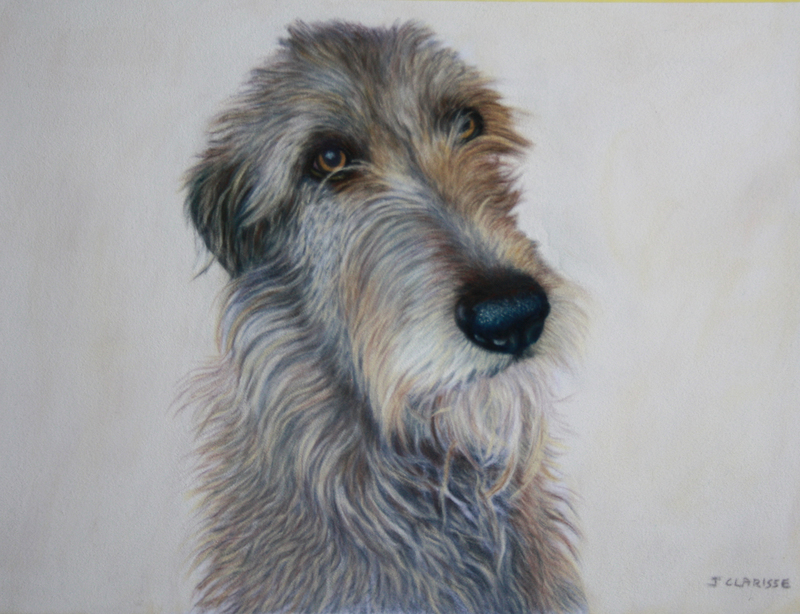 I met Mr Redmond (Athcarne), the owner and breeder of these beautiful Irish wolfhounds when I was living in Ireland. 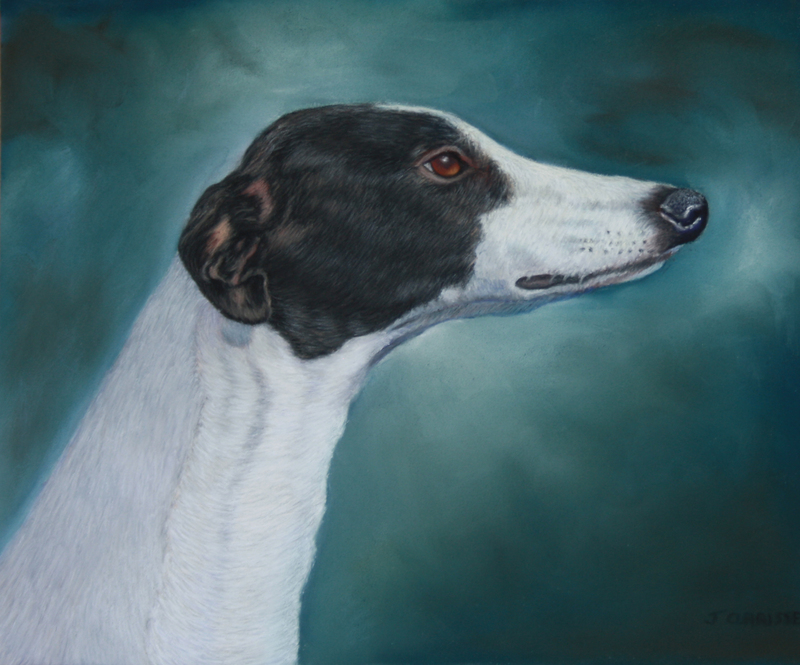 This is a painting I did from a card that he gave me – Private Collection.